The system network diagram template can reduces the amount of time to create great network diagram by using built-in symbols right next to the document. You can download and modify this template for your own use. Edraw network diagram software allows anyone to quickly draw system network diagrams in minutes, with no drawing experience required. If these templates cannot meet your need, click these links for more. 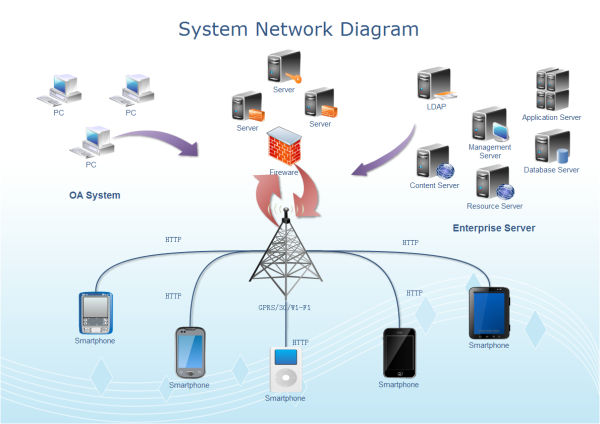 Discover why Edraw is an excellent program to create system network diagram. Try Edraw FREE.